The shrill beeping noise was deafening when I opened the door. My first thought was, “I’m so glad that smoke alarm battery chose to die during the day time, rather than the middle of the night.” I know what you’re thinking, “Change your batteries twice a year.” Yeah, yeah, I know. As I walked through the house to figure out which one was making all the racket, I discovered it wasn’t a smoke alarm. It was my carbon monoxide detector. That gave me pause. You may have heard about the family that rented condo in Mexico and died from asphyxiation, likely from a water heater gas leak. It made me think about all the times I rented apartments in my previous travels. Did those places have adequate safety measures in place? In this article, I will share important information that may save you money, frustration, and potential tragedy. Vacation home rentals are all over the world, from villas in Bali to apartments in Paris to historic homes in Charleston. Make sure you rent through reputable sources, the properties are thoroughly vetted, and the payment options are above board. I’ll put it out there. Consult a professional travel advisor. He or she will recommend properties that have been vetted and are safe. Prices can range from inexpensive to extremely lavish. It depends on the location, number of guests, amenities, and requirements for privacy, entertainment, housekeeping, chef prepared meals, transportation, etc. If you choose to do it yourself and rent from Airbnb, HomeAway, and VRBO, read the fine print so that you understand what you’re signing up for. Payment options – credit card, bank transfer, wire transfer, cash payments, large deposits, early final payments, non-refundable fees for cleaning. If anything looks suspicious, question it. Remember that you are renting from an individual (not in all cases), and they want to vet your ability to pay and take care of their property as much as you want to vet their property and the security of your payment. Contracts – Read the contract. Do you take issue with any stipulations? The stipulations may not negotiable. If you’re dealing with an individual, they likely will not negotiate the contract with you nor pay their attorney to alter it. Deposits, Change Fees, Cancellation Fees – Can you live with these? Does this landlord have a license to operate a business? How can you find out? This may vary based on the state or country. Check reviews on the property. Those who have had a bad experience are more likely to review a rental than those who had a great experience, but if there are multiple bad experiences, move on. What support does the landlord offer you while you’re in the property? Use of a local cell phone? Local landline phone? Do they have a number you can call 24/7 if you have issues? What happens in an emergency – medical, plumbing, storm damage, fire, lost key, theft or break-in, etc.? Years ago, the Paris apartment we rented was very photogenic online. However, it did not live up to its pictures. We had a problem with a leaking toilet and no way to mop up the water other than a bath towel, for the duration of our stay. Further, our landlord was difficult to reach, so the issue took some time to resolve. In Split, our greeter took us to a one-bedroom apartment; however, we had reserved a two-bedroom. The greeter finally sorted it out and took us to an acceptable apartment. Be aware of potential pitfalls such as this, especially after a long day of traveling. What is the protocol for checking in and checking out? It’s not a hotel, so you will need to arrange the arrival time for entry into and familiarization with the apartment. Figure out how you will communicate in the event of delayed transportation. Upon checkout, you may need to meet with the owner or agent to return the keys and get any security deposit returned. What other services or amenities do they offer? Sharing a space with others may be more affordable than renting separate hotel rooms. It’s wonderful to have the elbow room a private apartment, condo, house or villa offers. I’ve been lucky in a few places to have wonderful landlords. Our landlord in Dijon drove us to the train station in the rain when we checked out. It would have been a long, wet walk or money spent on a taxi. Our landlord in Aix-en-Provence couldn’t be there, but his mother met us and gave us the tour (all in French). She presented us with a lovely bottle of wine and snacks to welcome us. In Rovinj, Croatia, we needed to seek medical treatment. Our landlord drove us to the nearest hospital (30 minutes away) and paid for the medical services. While having the private space is wonderful, not all rentals offer that. Be aware that in some cases, you may be sharing your landlord’s apartment or house while they are still there. If privacy is important, be careful where you rent. Read your contract. I don’t know if you read the story about traveler, Logan Kugler, who rented an Airbnb for 1 month, but was kicked out after three days. You are renting a property that belongs to an individual who may not have a maintenance department or regular property inspections. One time in Dijon, our apartment’s heater stopped working. We were lucky that our landlord had another property to offer. And yes, we had to walk half-way across town dragging our bags to get there. Contract – Read it. Make sure you can comply with and don’t have any issues with the stipulations. Payment – Rentals require a deposit in advance to secure the booking. It’s typically not refundable. Be aware of payment requirements such as wire transfers early in the process, large deposits, or any payment option that seems odd. Some properties may be cash (in the local currency) only. Credit cards are usually the best option. Regulation – Many properties have not been inspected and don’t fall under the same regulations as hotels. Pictures Online – Pictures may look great, but are they a true depiction of the property? Cleaning Fees – Typically paid in advance and non-refundable, regardless how clean you left the place. And, don’t leave the rental dirty, beyond what would be considered usual and customary, you may be charged for an additional cleaning fee. Housekeeping – If the rental is for a week or less, you will usually be on your own for the rental period. Do not expect the towels to be changed, trash emptied, or bathrooms cleaned. Check your contract. Minimum Stay Requirements – It may range from 3 – 7 days. Room Service – Don’t expect it. You may find restaurants that deliver. Grocery Delivery – Depending on the property and level, this may be an available option for a fee. Towels and Linens – In certain cases, you may need to bring your own. Parking – Not all rentals have a place for you to park. Find out what the options are and costs for parking. Safety – Verify that the home has a fire extinguisher, carbon monoxide monitor (if gas appliances), and smoke alarms. If it doesn’t, bring your own monitor and alarm. Do your research and consult a trusted travel advisor if you are interested in renting an apartment, condo, house or villa. We have access to rental properties around the world and can ensure that you and your family stay in a safe place that has been vetted. Nobody wants to be miles away from the beach, out in the suburbs instead of the hip part of town, in an unsafe neighborhood, or in an unsafe property that may lead to unexpected tragedy. If you choose to rent on your own, inquire about safety measures (do they have smoke detectors, carbon monoxide detectors, and fire extinguishers in the property) and make sure you know how to reach out to local first responder services while you’re there. At a minimum, consider bringing your own carbon monoxide and smoke detector devices if the rental doesn’t have them. They are small and can cost from $20-$40 apiece. Purchase travel insurance. Renting an apartment, condo, house or villa may be the perfect solution for your travel accommodations. It gives you a comfortable place to stay and provides opportunities for large and extended families to travel together, bond, and share a vacation together. And, depending on where you go and stay, the costs may be very reasonable. There are many locations and properties around the world. 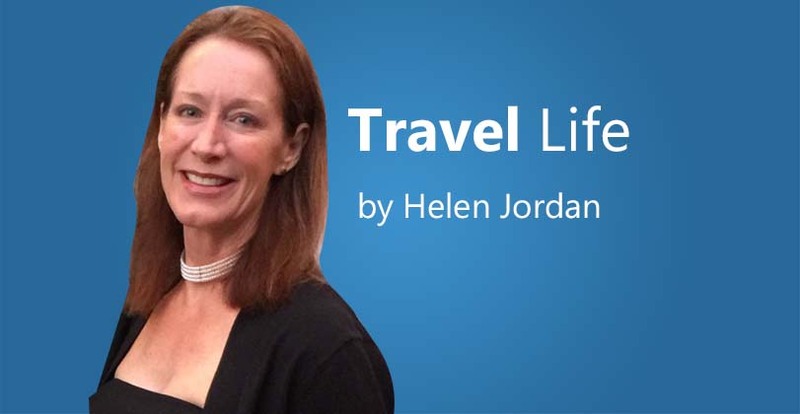 Check with your trusted travel advisor to find the one for your next trip.